Visualize, monitor and pro-actively manage your network. SNMPc is a secure distributed network management system that will monitor your entire network infrastructure. Castle Rock Computing was the first company to deliver a Windows based SNMP management system. Their flagship product, SNMPc, is a secure distributed network management system which delivers proactive real-time monitoring for your entire network infrastructure. SNMPc Enterprise Edition employs a distributed polling agent architecture to provide a high performance solution capable of monitoring networks from several hundred devices to tens of thousands. Remote software and Web based consoles provide network information to everyone who needs it. SNMPc Workgroup Edition is an affordable version of SNMPc suitable for a single user and small to medium sized networks. Available to Government and OEM customers only. 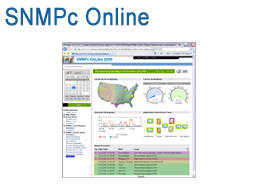 SNMPc OnLine is an advanced reporting plug-in for the SNMPc Enterprise Network Management System. With a dynamic web based console and flexible presentation options, SNMPc OnLine gives you unprecedented network visibility across your entire network infrastructure. SNMPc OnLine is also available as a free Express Edition with support for 2000 report objects. The Express Edition is automatically enabled when your 30 day evaluation period expires. 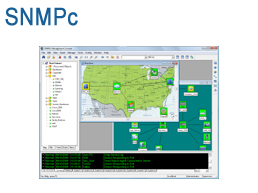 Visio maps and NetFlow/sFlow monitoring are not included in the Express Edition. Our specialists are expert in designing VoIP phone systems and can help you create a plan for sourcing and deploying your 3CX phone solution. Optrics offers personalized 3CX Phone System training - a service designed to help you integrate your 3CX solution smoothly into your network infrastructure.